This book is really, really good. In addition to being another superb outing for Rosie, the reporter for The Post in Glasgow, it touches upon a controversial, uncomfortable subject and handles it extremely well. As usual with books by Anna Smith, I was captivated before the end of the first page, and spent the whole of the book wondering if things would turn out OK in the end: that’s the great thing about books by this lady – you can never be too sure. The story centres around Jimmy, his boss, Eddie, and is girlfriend, Wendy. It starts with a fund-raising evening for the Ulster Volunteer Force. Jimmy, following proudly in his father’s footsteps, has only recently sworn his allegiance to this infamous organization and is in his element with his mates, wearing his UVF tie and singing Rangers songs. At the end of the evening, Jimmy takes his dad home and Eddie escorts the barmaids, Wendy and Liz. Some hours later, Jimmy receives a telephone call from an extremely distraught Wendy. She sobs that Eddie has raped her and seems to be beside herself. Jimmy runs round to her flat but, by the time he has got there, she has gone. The weeks tick by but nobody sees or hears anything from Wendy. The police are called in but they can’t get anything out of anybody. Jimmy doesn’t tell them about the phone call, as he doesn’t want to grass up his UVF superior, but starts to fear the worst has happened. Crime reporter Rosie Gilmore gets involved in the case and sets out to try and find Wendy. Unexpectedly, Liz opens up and tells her the truth – which sets a whole chain reaction in motion and finds Rosie on potentially her most dangerous case ever. She and her team, Matt, Adrian and Javier, find themselves in Spain and face-to-face with some really nasty gangsters. The question is, can they bring the bad guys to justice, and get their headline story as well, or is it all too late? 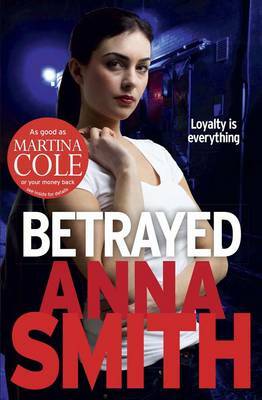 Despite this being a real nail-biter of a book, there is a sticker on the front of it, stating that you can claim your money back if you don’t think it is as good as one by Martina Cole. Somehow, I don’t think many people are going to be using that offer. This book is completely awesome!